Desi Smith/Staff Photo. 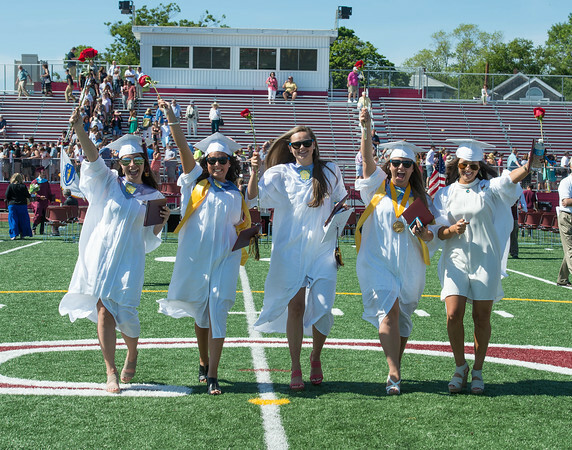 2015 Graduates from left to right, Caitlyn Lucido, Lily Sanfilppo, Emma Knowlton, Brianna Sutherland and Tess Destino, hold their roses high in celebration after receiving her diploma Sunday afternoon at New Balance Track and Field at Newell Stadium, as they cross the field to gather with family and friends. June 14,2015.